The working title for a memoir I am writing is, “Unexpected Grace: How Horses Changed My Life” so this is the beginning of the story. I believe it is in those spaces in-between what I call “holding the sacred space of possibility” that grace and guidance happens. I follow what Robert Johnson calls, “the slender threads” in his book, “Balancing Heaven and Earth” and at this stage of my life look back on people, circumstances, and experiences that have guided me, I know the nudges I followed were many times where the most significant changes occurred. As a child and young adult I remember riding horses across fallow corn fields in Indiana with my cousins and feeling the wind in my hair and the pure joy of being in sync with these magnificent beings. When I was older and had children every family vacation included at least one horse ride. My youngest daughter, Meghan, tried many times to covince her Father and me to get her a horse but eventually had to settle for riding her friends’ horses or the horses at my sister’s ranch in Colorado. I loved it all and have to admit I took much of it in stride until grace entered in and changed my life. My grandmother, Frances Shea Klein, probably wasn’t doing anything extraordinary on the day this picture was taken. This image of my grandmother, placed on my mantel with other family pictures, was one of many in an old photo album I found of hers. Grace is why I believe this particular image was the one I decided to take and reprint for my sisters, children and Aunt. My grandmother, gone many years, was such an important part of my early childhood and I love to think about her in this innocent, beautiful scene with the black and white working horses. What was she thinking about? Her whole life was ahead of her and I imagine she was out on a morning stroll and stopped to commune with the horses and maybe have a long chat. Equine Facilitated Learning is a name for a new field of working with horses in human development but somehow I believe my grandmother already knew this. Barbara Rector came to see me for some consulting and noticed this picture and asked “Are you a horse person, Kathleen?”. Little did I know then where that question and her observation would eventually lead me. My first introduction to working with horses in this way was through Sierra Tucson in the1990’s. At the time I was director of marketing and intake at the center for the treatment of addictions and co-dependency. In a recent newsletter sent out by Sierrra Tucson honoring their 25 years of service , co-founder Bill O’Donnell is quoted saying, “In the beginning, we had more horses than patients.” I wonder what the horses knew then that had not been revealed to us? By the late 80’s we had 185 beds for adults with chemical dependency and other addictive disorders, and had acquired dual lincensure as a psychiatric hospital; a 72 bed eating disorder unit; and were in the process of building an adolescent treatment center. Reed Smith was in charge of creating the new center for adolescents and he wanted to bring the horses in to work with the children. I called Reed a few weeks ago to ask him what made him decide to do this work. My next meeting was with Barbara to find out about her recollection. Barbara had been the first person to ask me to work with her and her partner Ann Alden in Barbara’s program, “Adventures in Awareness”. We recalled the other day that this was around 1994-95. 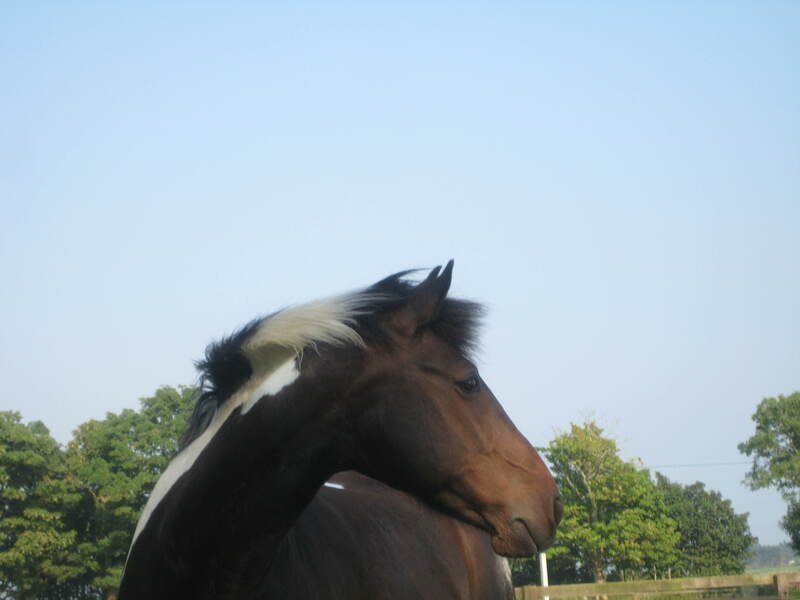 I began working with Barbara individually and then participated in several workshops before I started to teach what she called” taking therapy to the barn”. I would work with them at workshops and did a lecture on the benefits of working with horses as co-facilitators. We didn’t even have a name then but knew it “worked”. As a practicing psychotherapist, I really saw the changes in the clients and referred many of my clients to Barbara and Ann. I wanted to ask Barbara what she recalled of the “early” days in the field of equine facilitated learning and her time at Sierra Tucson in 1990-1993. My next stop was a visit with Ann Alden down at her ranch in Sonoita where she lives with her 16 horses and her partner, Haus When I asked Ann, “Why Horses?” she replied. 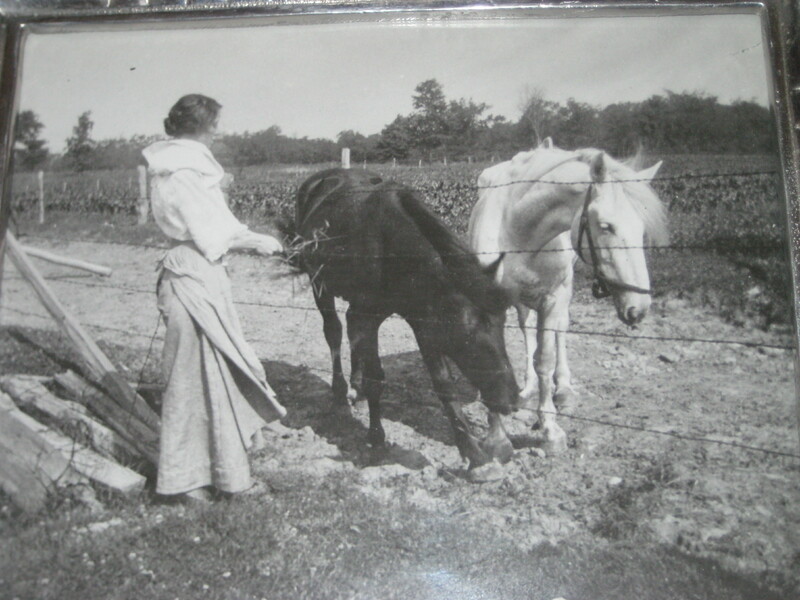 I think about my grandmother, Frances, often and would love to have a conversation with her about her early life, what she was doing with the horses, whether she loved them as much as I do, but most of all to thank her for the way she guided me to this work. I really know that when we are open, we receive these gifts of grace in many unexpected ways.